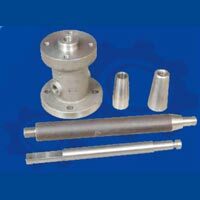 Precision Tool and Dies Industry has carved a niche for itself in the domain of Metal Products in Tamil Nadu (India). 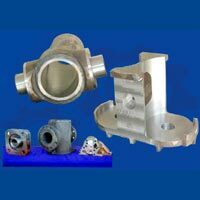 We are regarded as well-acclaimed Manufacturer and Supplier of CNC Machined Components. 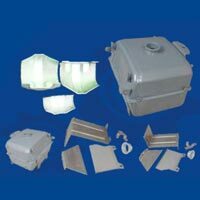 In addition to this, we are also notable Supplier of CNC Turned Components, Precision Stamped Components and Press Tools in the industry. We use the best raw material such as Ferrous and non-ferrous metals, like EN8, EN9, EN24, EN31, EN36, EN353, Stainless steel SS304, SS316, SS410, Aluminium, Tool steels OHNS, HCHCR, etc. for manufacturing our machines. Moreover, we make sure to deal with reliable vendors in the industry so as to satisfy clients to the fullest. Our products have robust construction and are easy to operate. We are conferred with ISO 9001:2008 without design TÜV SÜD. We have an enthusiastic team of professionals that is consistently engaged in bringing forth the most innovative techniques and methodologies in order to keep a competitive edge in the market. Our quality controllers are proficient in maintaining high quality standards as per the industry. We deliver our Metal Products with utmost care to avoid any kind of damage during transportation. We provide our products at market leading rates. We manufacture our products as per the specification of the customer.